Oil squirters/ piston oilers discussion - Page 2 - Miata Turbo Forum - Boost cars, acquire cats. Is there a prescribed method to plug them? I'm building the standard MT engine with supertechs and thinking of leaving the squirters out. I believe the threads are M10 x 1.25. I will double check this tomorrow and also get a length for the bolt minus the squirter. I plan on using copper washes under the bolt heads as well. 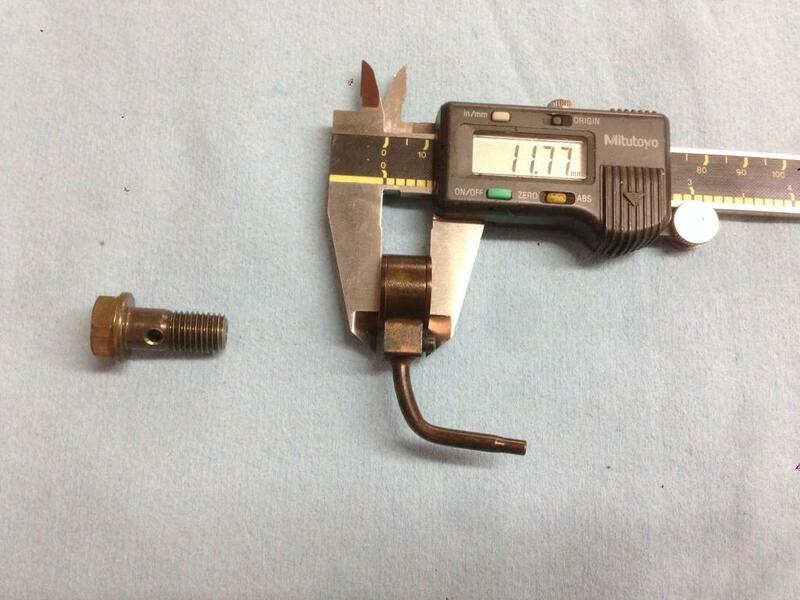 I believe the bolt length needed was the same as the diameter of the bolt. 0.400" is stuck in my head which is just a touch over 10mm, so that sounds right. I cut down some bolts cause i couldn't find anything that short. i reused the copper washers and RED loctited them in. I have all the oil pressures now. 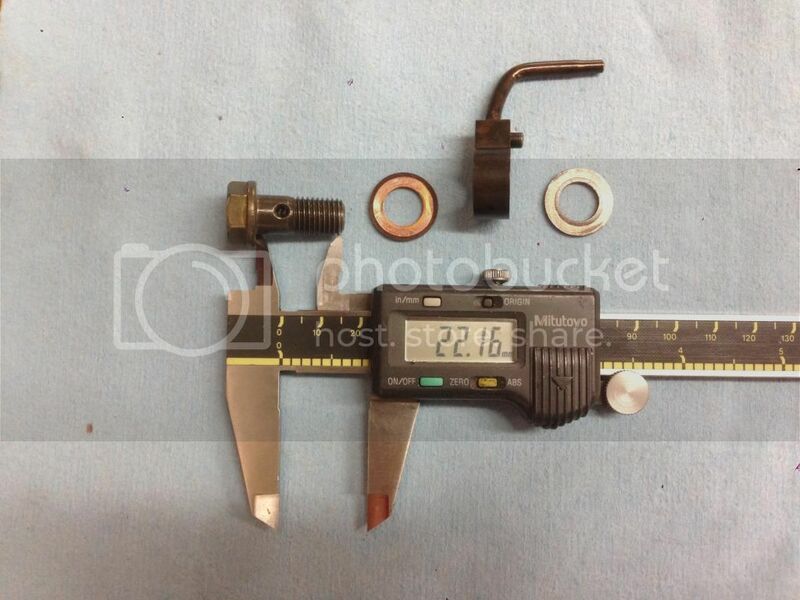 Indeed M10-1.25 x 22mm are the squirter bolts. Total stack with 2 washers and the squirter is ~12mm. This means I will need M10-1.25 x 10mm bolts to plug the holes. I can only find 16mm readily available so I'll need to cut them down as you have done. Thread locker is wise as my engine mount and a/c bolts like to walk out occasionally. I did not think to add loctite but I did torque them down a bit more than the spec. You're making me second guess myself..
dont think about it. the factory spec on that banjo bolt is like 22 ft/lbs im sure all my ham fisted friends on here have over tighten the hell out of them. i just like to be "sure" they wont ever come out. edit: Dave that is a really good post! I have oil squirters in with Wiseco 84.50 mm coated pistons and ring gap 0.020 top and 0.023 bottom. On first rebuild hone, rings, bearings. Rebuild was initiated after finding ~25% blowby on cylinders 3 and 4. I thought about plugging the squirters on first go-around, but decided not to. Maybe I should do it now. On locktite, oil can get above 300f which is the high end of Red Loctite operating temps. Block should be cooler though. Redline loosens just below 500 f.
I called to Wiseco and their phone techie said that their pistons are fine with or without the squirters. I've built engines with and without squirrels. These were SCCA road race in SM, ITA and FP. Really never noticed any real difference, other than oil temps. Figured big oil cooler helped pull engine temps down. In SM, where squirters were left in and no oil cooler is allowed, we saw temps spiking around 280 – 290. Run Royal Purple and Change it frequently. Biggest engine we run is a 1.8 with 99 head and fairly big garret. Has wiseco pistons, 8.8:1, and squirters. Left them in as I figured the motor had enough power to spin the crank even with a oil mist inside the motor. Plus figured turbo probably heated the Pistons up a tad more than stock. FP engine has J&N, 10:1, with no squirters. Left out to keep excess oil from flying around inside block and we need every bit of power we can get. I found engine temps coolant and oil were much more stable and cooler without the squirters. Waste combustion heat goes out the tailpipe instead of into your engine cooling system and the turbo loves that. This was in Blackstone' news letter. I LOL'd a little at the customers self diagnostics. Just assembled my short-block. Manley rods, Wiseco 10.5 slugs, BE pump +1 shim, and decided to plug my squirters. Pistons are not coated on the top, just the skirts. Will be running N/A, so I don't think piston heat will be a major issue. After taking my engine apart several times over the years both with and without squirters, bearing wear, piston wall wear, and piston skirt weare rates were all significantly less after plugging the squirters. Turns out wasting oil pressure by squirting it into the air inside the crank case does almost nothing for lubricating bearings and oil getting past the oil control and compression rings and being burnt into carbon deposits is pretty crummy for lubricating the cylinder walls while it gums up the rings. This thread is great. 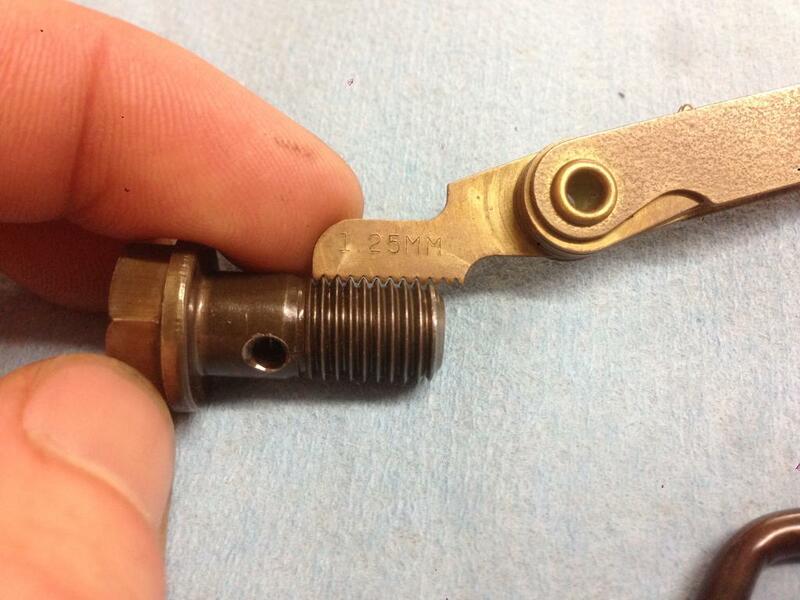 I have some Wieseco pistons and I was unsure exactly what to do; now there is no doubt in my mind When plugging the the squirters, are you all using red Loctite or something? If so, is there a specific one that best suits this application? I bought a bottle of 266. It says high strength, high temp, oil resistant. Not sure if it the best for this application but I got tired if searching through the countless Locktite formulas. I also used 266. Its what I use inside bicycle suspension fork dampers as its very oil resistant. Shouldn't have any issues. I just used red Locktite. kept the crush washer so I don't even think the Locktite is even necasary though. Metric flanged bolts from the local hardware store with the copper crush washer. I cut them to a shorter length with a hack saw. One thing is if you are making 2.5 to 3.5X stock hp and your spinning to much higher than stock rpm limit you are going to have accelerated wear. don't expect much more than a couple years between teardowns no matter how tricky you get with the build. Last edited by bbundy; 02-15-2015 at 04:25 PM. Thanks folks. Hopefully i'll get my build going this spring. I have all of my SB components, just need to get it to the machine shop, and then figure out how I want to setup my head.